Massage is to work and act on the body with pressure. 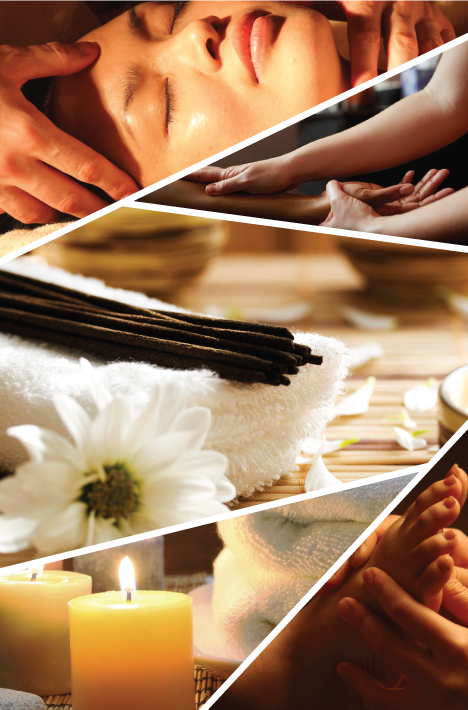 Massage techniques are commonly applied with hands, fingers, elbows, knees, forearm, feet, or a device. The purpose of massage is generally for the treatment of stress or pain.In professional settings, clients are treated while lying on a massage table, sitting in a massage chair, or lying on a mat on the floor. In amateur settings, a general purpose surface like a bed or the floor is more common. Aquatic massage and bodywork is performed with recipients submersed or floating in a warm-water therapy pool.